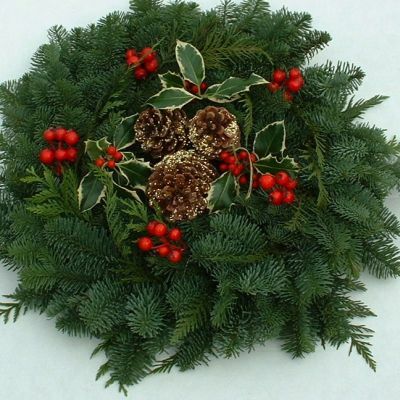 The traditional symbol of Christmas winter hospitality: a wreath of evergreens! Made from Holly, Noble Fir and Western Red Cedar. All wreaths are handmade and unique. Washington and shipped USA wide. Also available -- farm fresh Honey - nature's pure creation from either Blackberry or Fireweed. Our bee hives are located in Western Washington. Now on Facebook, too -- Like !